Dimensions (HxWxD): 3" x 3" x 0.375"
We want our customers to be able to experience new crystals without investing a fortune. 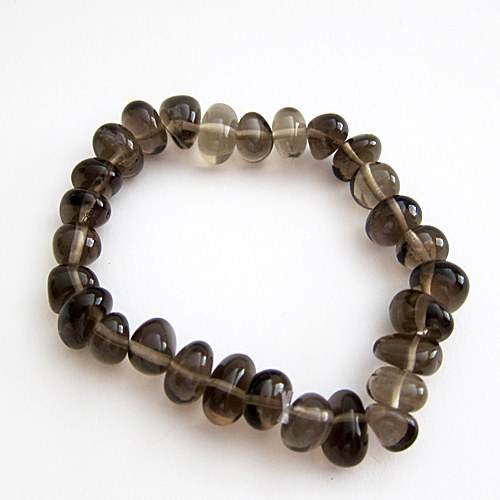 Try these luminous smoky quartz mixed bead bracelets to experience the lovely healing energy signature of this stone. Then check our smoky quartz section for more great smoky crystals! 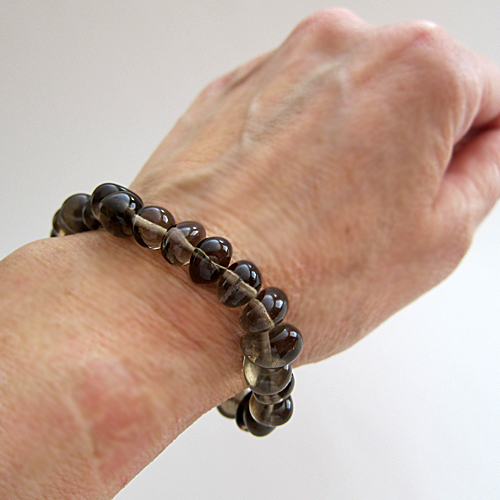 Smoky Quartz is an aid in gently releasing blockages caused by negative energy patterns in the emotional body. Smoky quartz has been used as an aid in meditation, for energy healing, and to create a protective barrier of energy around the holder, being grounding and clearing the mind. My own personal experience in working with smoky quartz over the years has led me to compare it to the herbal plant burdock. Burdock has a reputation for being a slow & steady & reliable deep healer. It works to clear & cleanse the blood which is why it has a reputation for healing cancers, tumors & other dense formations in the body. It has a reputation for very gently clearing the skin, the digestive tract and for bringing up dis-harmony in the body in a slow, careful & thorough manner. It is also a very nourishing plant, which does not heal through heroic action, but rather through the grace of the Nourishing Mother. Smoky Quartz reminds me of the Black Madonna, in this same regard. All in all, a wonderful and beautiful stone to wear or keep in your pocket! Read more about smokies here. Note: weight above is shipping weight. Actual weight of each bracelet averages .65 oz.